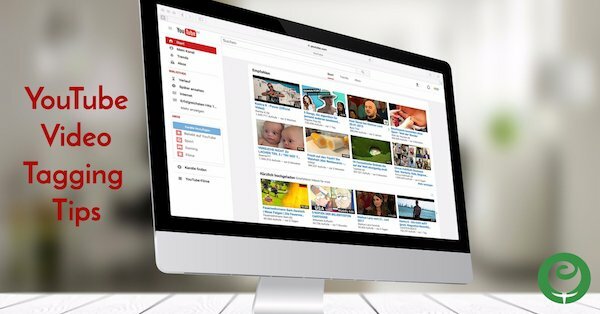 YouTube lets Channel owners add tags to their videos to help those videos show up in YouTube searches for the same topic. Your YouTube video tags should be descriptive and relevant to each video on a Channel. Typically, tags should be 2 or more words as that helps focus much more on searcher intent. Think of it this way…if you were searching YouTube to learn how to set up a Facebook ad, what phrases would you enter into the YouTube search bar to try to find videos that taught you how to do that? Another point to consider when choosing tags is whether the tag you want to use is geared somewhat-exclusively to your video or business. For example, using “tutorial” or “lesson” on its own is very general and not specific to learning about Facebook advertising. The tags for each video on your YouTube channel should be different. Sure, you’ll likely have some (or many) of the same tags that legitimately do apply to more than 1 video on your channel. However, each video should have at least a few tags that are unique to it. Each video should have some standard tags that you use on all or most of your videos. Among these standard tags should be 1 for the name of your business or channel, and another of the title of your video. 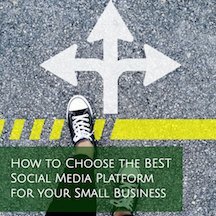 If you created content around Facebook or social media in general, you may use some industry-specific yet still general tags like Social Media Strategy or Facebook Tips. Then you’d search YouTube and add additional tags that relate to the specific topic of each video. That’s where your video research will come in to play. You’ll likely find that there are far fewer specific tags to use for each video, and that’s OK. There are only so many ways someone will try to search for videos about changing your ad budget, for example. The best way to determine the right tags for your needs is to try searching for the tags you think will work using YouTube’s search bar. When doing so, you’ll see what types of videos pull up in YouTube search results for those search phrases (i.e. potential tags) you are using. Keep in mind that you can’t see the tags others are using on their videos simply by visiting and viewing their videos on YouTube; only you as the owner of your Channel can view or edit tags. So you’ll need to use YouTube search to test out your tag ideas vs peeking at competitors’ videos. If you are interested in a third-party option, check out vidID for ninja research on other channels’ video tag usage. Also, you can utilize the auto-fill function of YouTube search as seen below. As you start typing, YouTube will auto-suggest some options for you. Often, this can give you great tag ideas. Keep in mind that you can adjust tags at any time. You can also add tags when you first upload a new video to your YouTube Channel, and remove and add new tags to existing videos by clicking on Basic Info tab when in Edit Video mode.